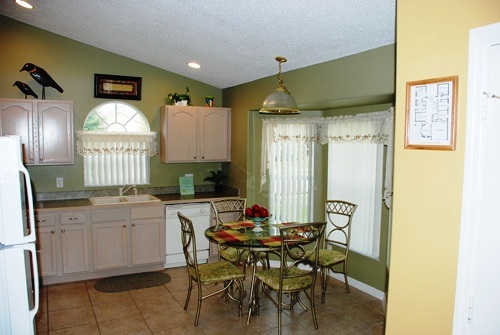 Perfect, Family Vacation Home at World Disney Area. 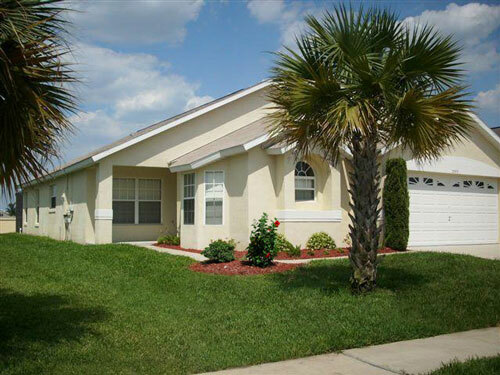 Orlando Tropical Villa is a tastefully decorated, elegant tropical easy living home, located in the family friendly neighborhood of Indian Creek, Kissimmee. This outstanding vacation home is located within 3 miles of Disney Properties, and is 2 minutes away from the Formosa Shopping Center, your destination for great shopping, dining and playing. Our sensational 1800 square foot home has 2 Master Suites plus 2 additional bedrooms making it an ideal setting for 2 nuclear families or an extended family vacation. One Master Suite has a King bed and a private bath with access to the pool area through beautiful French Doors. The Second Master Suite has a Queen bed with its own private bath. The other two well sized bedrooms each have twin beds and share a full bath. Tropical Villa sleeps 8 people, but can accommodate 2 additional individuals on the full sized sofa sleeper in the living room. The bright and airy gourmet kitchen is fully equipped to prepare a snack or a gourmet meal to serve in your formal dining room. 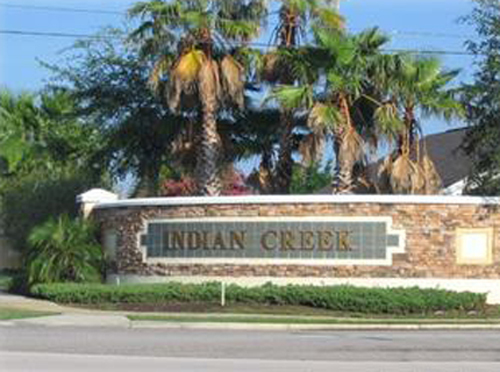 The spacious and comfortable living room is equipped with a TV/DVD/VCR unit so that you can relax and chill out after your day of touring or visiting the multitude of world renowned attractions and recreational venues located in the Orlando area. From the living room you can access the covered Lanai through French doors and retreat to your idyllic oasis. Enjoy the private heated pool and spa, while sipping drinks and eating hot dogs and hamburgers prepared on your charcoal BBQ. Lanai furniture includes a dining table with four chairs plus 2 chaise lounges to view magnificent Florida sunsets. Tropical villa is the ideal vacation destination whether you wish to entertain and amuse your family members, or simply relax and bask in the Florida sunshine.